While Elise was attending NMSU for her Bachelor’s in Art in 2009, a friend of a friend asked her to take photos at her wedding. One of the guests at the wedding was so impressed with her demeanor, they asked her to photograph their son’s upcoming wedding. After photographing a few weddings, Elise realized wedding photography was the bee’s knees. It contained all of the different aspects of photography she enjoyed (fashion, portrait, documentary, and photojournalism). Having been inspired by the works of Richard Avedon, wedding photography enabled Elise’s artistic expression to flourish while simultaneously documenting meaningful moments for her clients. And so Taylor’d Photography was created. From that very humble start so many years ago, Nate and Elise continued to grow their family business from something they "just did on the weekends" to their full time careers. While Nate worked 50-60 hour weeks with a 10 hour commute on top as a public accountant, his family grew closer without him being there. He would kiss his kids goodbye in the morning and then kiss them goodnight while they were sleeping, and that was during a good week. More often, he would be out of town on business until the weekends. "I felt like my little girls were growing up without me, and I didn’t really know them anymore. I bought a point and shoot camera, and made short home videos with them so that we could still see each other during the week." Some would be short stories with morals, others were just fun moments he wanted to remember. To this day, Nate will sit at the computer with his daughters and watch all of the videos still posted on his personal Youtube channel, Melody’s Dad Videos. The ability to sit and remember small moments is one of his favorite activities to do with his kids. This cherished opportunity to remember and relive an experience, a time that otherwise would be forgotten and replaced with other memories, is the very reason he now helps his clients create storytelling films. Elise Taylor earned a Bachelor’s of Fine Art with an emphasis in Photography from New Mexico State University. While completing her BFA she was mentored by Guggenheim fellow David Taylor. Her thesis work “About Remembering” appeared on exhibit at the Las Cruces Art Museum. 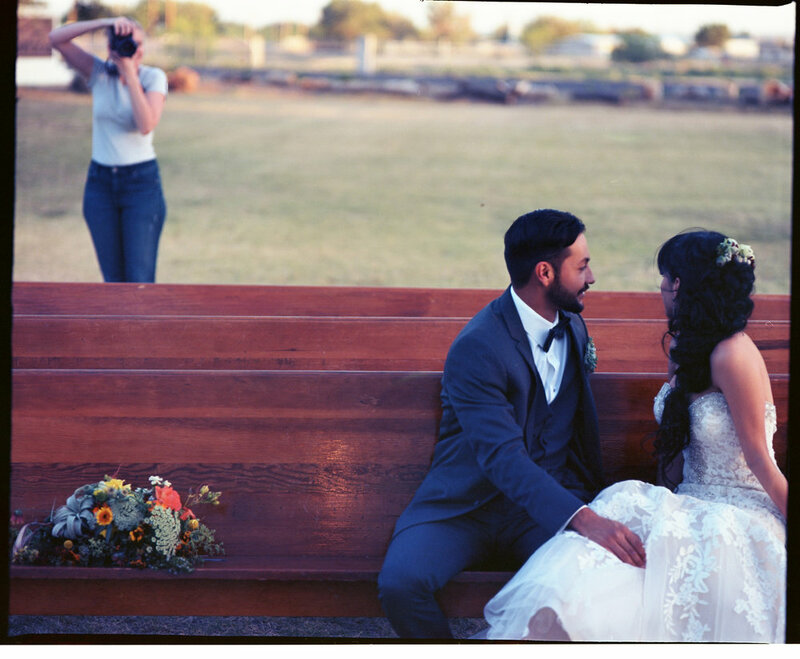 Elise's work has been featured on Beyond the Wanderlust blog and has been published in the Wedding Connection magazine and the Las Cruces Bulletin’s 2015, 2016, and 2017 wedding guides. Elise has published books containing her work such as “The First Year” and “In Transit”. Elise’s personal work focuses on the ongoing struggle of our lives – remembering. This focus influences her portrait commissions and wedding work and she is highly committed to helping her clients preserve and protect the greatest moments of their lives. When she isn't saving the world’s memories, she is creating her own with her two adventurous daughters and husband.